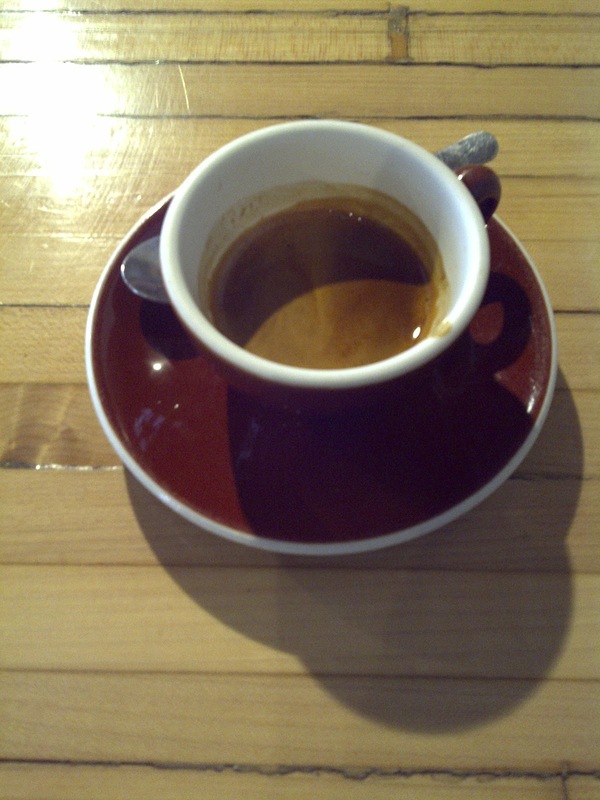 Part of my Saturday morning routine is a post-run espresso. Whether it's at home, or venturing to a known shop for the local flavour, it's always a great experience. This morning - I was feeling all about the Chinatown/Queen W hood so it had to be a simple decision: hop into Dark Horse II. 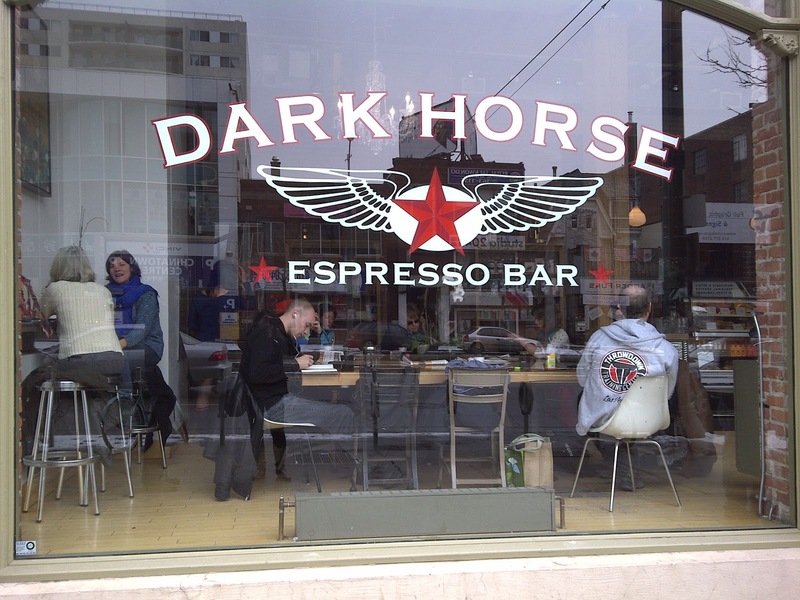 Showcase YYZ cafe scene to a friend from out of town, means joyous romps around town to only the crema of the crop. 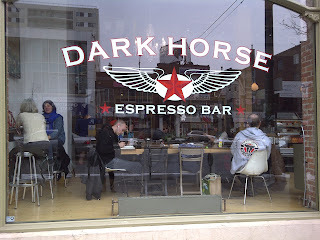 I've had the new Espresso blend from Detour, but haven't actually tried it at DH2. Verdict: Deliciously sweet bright cherries. This espro got better with emulsification, with the 2nd and 3rd sips resulting in sugar bursts! Roast of the week! 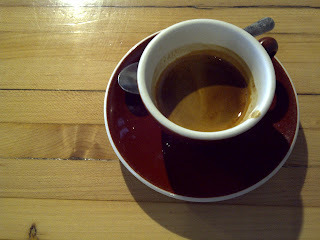 On a side note: The above photo is inspired by Adbeus; Collabortive photoblogging of MTL coffee scene. NY posts to continue: Up next Cafe Grumpy!